Don’t just take our word for it — see what others are saying about the compassionate care and dedicated service provided by the professionals at Davis In-Home Care! "I found Davis In-Home Care a great comfort during my aunt’s illness from Alzheimer’s. This was my first experience dealing with caregivers for a loved one and Drew Davis was very understanding, helped put me at ease, and became a great comfort to our family. Faye, one of the main caregivers, was extremely helpful and observant. She was able to adjust quickly to my aunt’s personality changes and gave me great suggestions and helpful hints. Her warm and welcoming personality was noticed and admired by the family." "I felt very safe and secure knowing I was being taken care of professionally." "When a person who has lived independently suddenly realizes she can't do it by herself anymore, she needs compassionate helpers. I found that with Davis In-Home Care. Not only do they anticipate what services are needed, their carefully selected workers are right there in my home to perform them – even little services I didn't know I needed. Thank you, Davis In-Home Care, for providing wonderful friends who can make life as independent as possible! " "My family was so pleased with the service you have given our 86-year-old father. We appreciated your thorough, easy, and straight-forward process … you thought of absolutely everything (which was a great relief!). Additionally, the two caregivers you assigned were "spot on" as far as skill set and personality match … warm and caring, patient and professional. I know Dad was always happy to see "his ladies" show up in the morning, and we were happy knowing he was in good hands. Thank you for all of your help. We would highly recommend Davis In-Home Care!" "Davis In-Home Care has provided two wonderful caregivers to help my mother be able to stay in her home as her health deteriorated. As her daughter, I entered into this phase of her care with some trepidation – I had heard so many horror stories regarding in-home care. I should not have worried – Drew Davis and his caregivers have provided excellent, compassionate and personal service. "Mom's caregivers have provided her with companionship, care and security, and it is clear that they really care about her as a person. 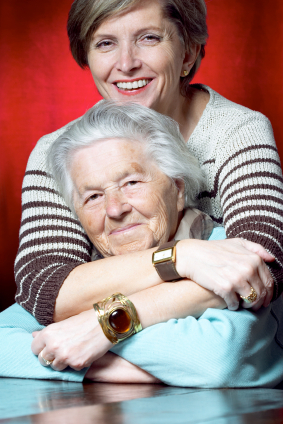 Davis In-Home Care has been flexible and responsive as mom's needs have varied, providing care ranging from six to twenty-four hours a day, and modifying the coverage on very short notice as her circumstances changed. Our family will always appreciate the way that Davis In-Home Care allowed mom to live her final years of life in the comfort of her own home surrounded by people who care. " "There comes a time in many lives when family members must decide whether an aging parent can safely continue to live at home. In our family, we needed to make this decision because our mother had fallen several times and was not able to get immediate assistance. In-home care is an option that allows the parent to stay at home with confidence and gives family members peace of mind. "We chose Davis In-Home Care to provide this service for several reasons. While all care services may seem to be the same, Davis In-Home Care is truly unique. Included in the services is an extensive, custom-tailored care plan created for each client. This ensures that all expectations are clearly stated and understood for all who are involved. In addition, as part of the care plan, the assigned caregiver maintains a diary of daily events for review by the client and family members. This detailed record describes the client’s on-going condition which is helpful for charting progress and sharing with doctors. "Davis In-Home Care goes beyond care for the just the client. I was the primary caregiver at the time we met with Drew and my needs were a significant part of the proposal. As a result, I was able to continue to work full time without worrying about Mom’s care and safekeeping. At Drew’s suggestion, I even took some time off for rest and recuperation. Yes, I highly recommend Davis In-Home Care in your time of need." "It is my pleasure to be associated and work closely with Drew Davis and his team of dedicated caregivers. Their focus on each client's individual needs is exemplary and we are proud to have Drew as a fellow member of The Senior's Choice. We at The Senior's Choice support more than 160 in-home companion care companies around the world and we take pride in the standards of excellence common among all our members. Davis In-Home Care represents the best of The Senior's Choice because of their demonstrated integrity, commitment, and love for seniors and their families. We know that those individuals who take advantage of Davis In-Home Care's services will experience greater peace, independence, and more quality time with their loved ones."